The Federal Government and the Ogun government has signed a Memorandum of Understanding (MoU) for the continuation and completion of the abandoned Ota Regional Water Supply Project. The ceremony, which took place at Arobieye- Iju in Ado-Odo/Ota council area of the state, also saw the signing of an agreement for Partnership for Expanded Water Supply, Sanitation and Hygiene (PEWASH). 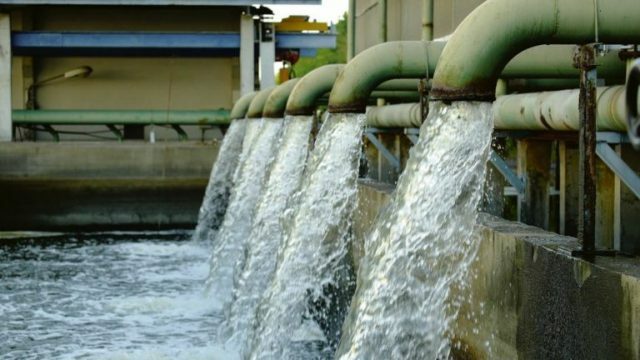 The Minister of Water Resources, Sulaiman Adamu, noted in his address at the event that the water project which commenced in 1988 had suffered delays due to neglect by previous administrations. He also attributed the delay to lack of approval for right of ways for the water transmission pipeline by the Ogun government. N811 million on the project. He added that the project would have the capacity to deliver about 15 million litres of portable water per day to residents of Ota and Ijoko and environs when completed. “This MoU, which is in accordance with the spirit of President Muhammadu Buhari’s administration of providing critical infrastructure for the good of Nigerians, will enable the two governments to work together towards speedy execution and completion of the commercially viable project,” he said. Adamu said that the PEWASH agreement was meant to accelerate access to water supply, sanitation and hygiene in all the rural areas of the state, adding that Ogun was the first state where such agreement was signed. The minister urged the state government to devote adequate resources to fulfil all its obligations in the MoU for the water project and the PEWASH agreement. “I wish to assure you that with the signing of these instruments today, we shall commence all activities on our part for faithful execution of activities,” he said. Ogun Governor, Ibikunle Amosun, in his address described the development as a testimony to the commitment of the state government to seek ways of making life more comfortable for the residents of Ogun. He noted that the water scheme would improve the living standard of the Ota residents and also attract more investors into the communities for increased revenue generation. Amosun explained that the state government had continued to collaborate with development partners such as UNICEF to pool resources in order to achieve improved water supply and Open Defecation Free (ODF) status in its rural communities. He urged the residents of Ota and environs to take ownership of the water scheme after rehabilitation and the entire people of the state to embrace the PEWASH programme.